At the end of the school year, I looked around my room and realized there was no way I could leave for the summer with the current state of my library. It was so bad, I didn't even take before pictures. But I have plenty of after pictures! Let me show you the transformation. 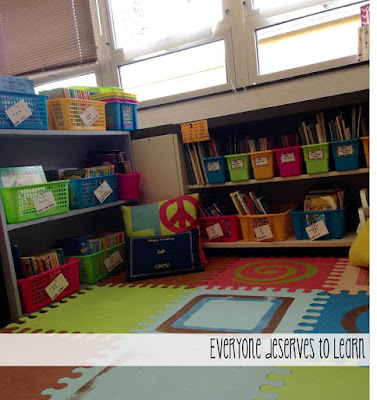 I teach grades 1-5, but on any given day I may have Kinders or middle schoolers come in my room. So, I have to have a really wide range of books. I've slowly added to my collection as I've been in this position, and finally feel like I have enough for all my learners. My old system started out with stickers on the front of the books to level them, but the stickers easily ripped off. Then I tried to arrange them by genre. Then, I tried to arrange them by series/author, but it kept getting messy. Finally, I had had enough! I decided to re-do my library, no matter how long it took. I started by ordering some neon bins from Really Good Stuff. They match the bins on bookshelves in another corner of my room, which makes my OCD heart very happy. 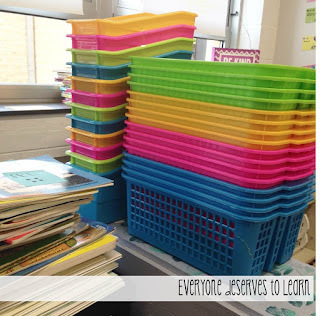 Once they came in, I pulled all the books off my shelves and had my students help me level them through Book Wizard. 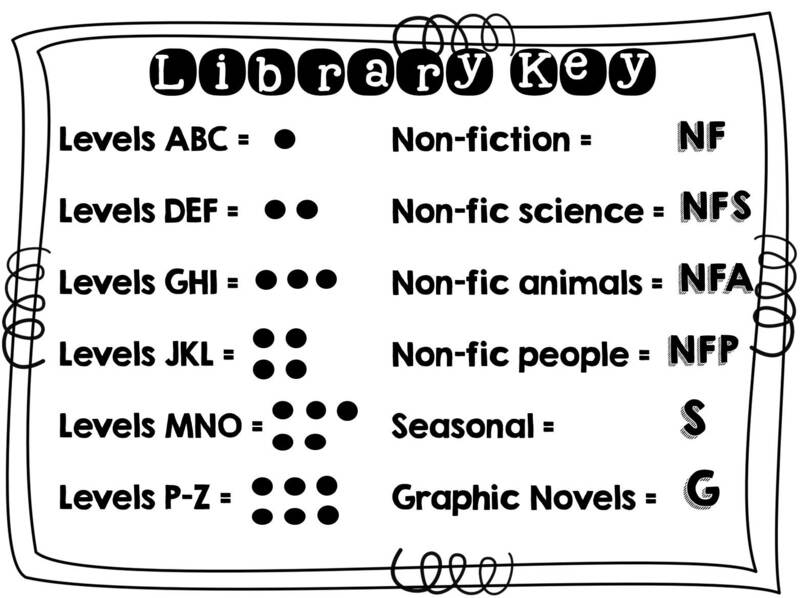 I would say that 80% of my books were "levelable" but some we had to guess. It was a good learning experience for the students who helped me, because they began to see how to compare text complexity. We piled them by levels, then realized that it made sense to put levels together, since we didn't have enough of each to fill a bin. Next, we began to stack books in the bins. My students took so much ownership in this part of the job- they made sure all the books were facing the same way and in height order. They also made sure the pattern of colors was just right. They must take after me! Once we had all the books sorted into bins, I had to figure out a labeling system. After thinking about it for quite a few days, I came up with a very simple dot system. I am so excited about the dot system! This is going to be perfect for my littles, my middles, and my newcomers. For my littles it will reinforce one-to-one correspondence and ten frames, my middles will be able to better understand the concepts of symbols, and my newcomers won't have the stress of identifying a letter or a name. 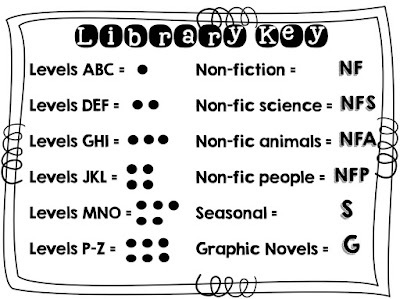 Once we had established the dot system, we worked over the course of a few days and put black marker dots on the inside front cover of EVERY book in my library. I should have counted them...I'm guessing I have close to 1,000. Finally, I wrote the key for each bin on a little index card, laminated them, and hung them from the baskets. I'll make prettier labels over the summer, but for now, these will do! The large bins hold all my fiction books, and the tall narrow bins hold all my nonfiction. I am so happy with the way it turned out! I keep walking over just to stare at it! Isn't it pretty!? I'm so excited to start teaching my kids how to use it! I'm positive this change will make for a more functional, practical, and inviting space for my kiddos to read! Love it! My kids helped me reorganize my library the last week of school. I hadn't realized how many new books had snuck into the buckets (I let families donate old books from home to build our library). I've never used Book Wizard, what type of leveling is that? We use AR at school, so I'm unfamiliar with the letters. Ahh! It looks so wonderful! Those colors are so bright and inviting. 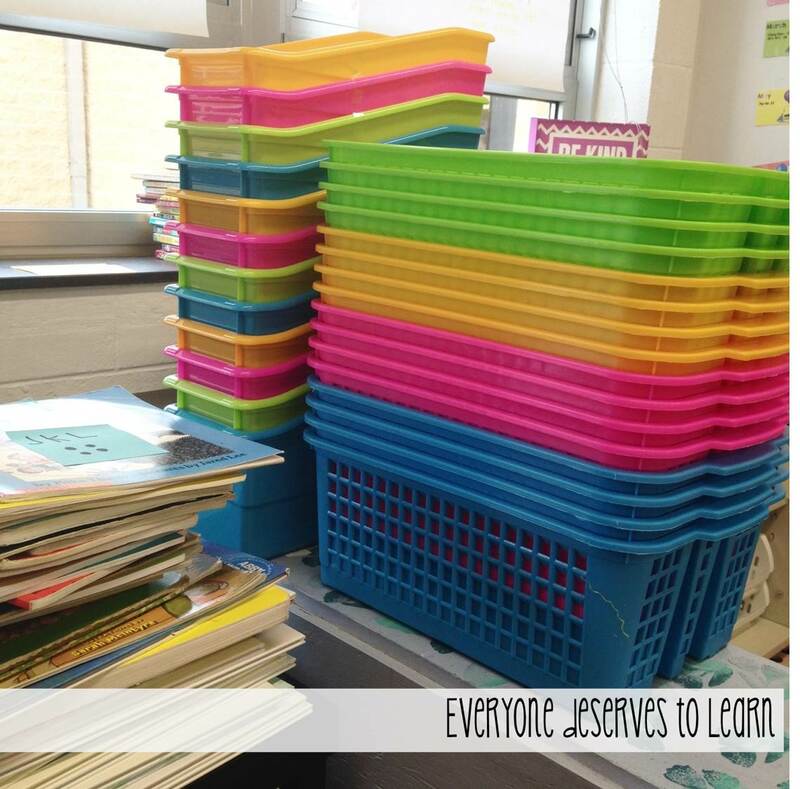 I have been using Book Wizard to level my books as I prepare to move classrooms. I think this post might just be my inspiration for how I set mine up. Do you feel like the baskets are pretty sturdy? Will they stand up to the abuse of kindergarteners? I have been considering those same bins.